Shatta Wale goes in on Wizkid, Patoranking and Timaya in two new diss tracks, "Disaster" and "Dancehall Landlord." We're not totally sure what started this but Ghanaian heavyweight Shatta Wale has been going hard at Wizkid over the last few days. In his new track, "Disaster," the Ghanaian dancehall star makes his feelings very clear by repeatedly singing that he doesn't feel or like Wizkid and doesn't see him as a superstar. 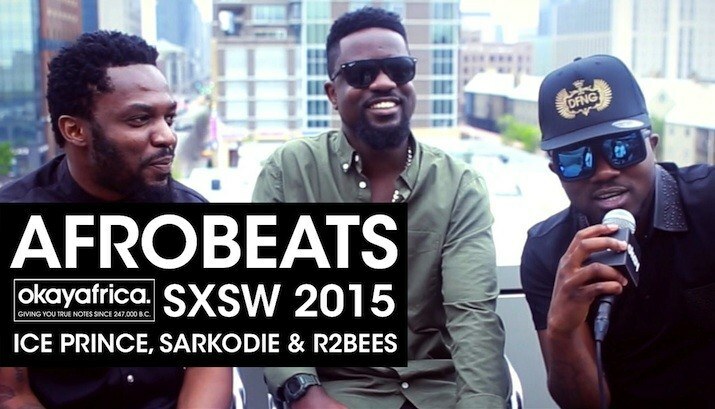 Ice Prince, Sarkodie and R2Bees speak to Okayafrica TV at SXSW 2015. Sarkodie drops visuals to his ragga-influenced single " Love Rocks" featuring Samini.